I received samples of Aurora Spa Rituals Rose Otto & Clarifying Shampoo and Burdock & Rose Revitalising Conditoner in my BB back in August. 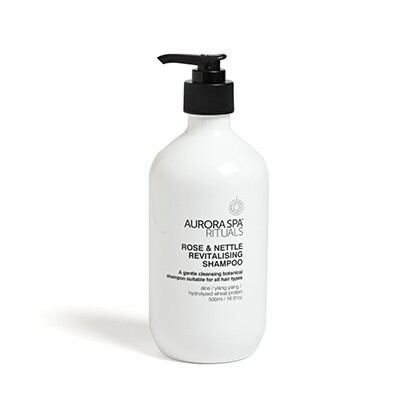 I purchased the full-sized products from www.aurorasparetreat.com.au because I loved the shampoo and conditioner so much. Now they have had a bit of a name change but I think they are basically the same product, though I don't find the conditioner is quite AS moisturising as the sample was. Both come in handy pump bottles which just sit in the shower, no fussing with lids and squeezing out too much product. 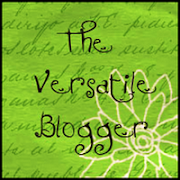 Rose and Nettle Revitalising Shampoo. RRP $40 - 500ml This would have to be my favourite of the two. Contains natural botanicals such as Rose, Aloe, Wheat protein, Rose Geranium oil, Nettle, Ylang Ylang, Cedarwood oil, Lavender and Frankincense. Smells yummy and I often find myself sniffing the bottle when I see it in the bathroom. This is a natural shampoo and it doesn't lather, you just massage a small amount all over your scalp and then rinse it out thoroughly. I have really long hair and I only ever wash my scalp, there is enough shampoo as you rinse it out to cleanse your strands. You don't want to strip your hair of all its natural oils. This shampoo is really gentle but does a good job of removing any greasy build up. 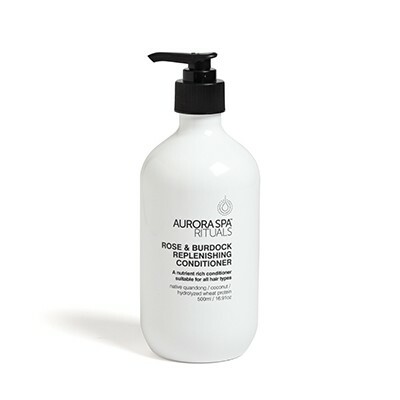 Rose and Burdock Replenishing Conditioner. RRP $40 - 500ml. Contains most of the yummy ingredients in the shampoo with the addition of Coconut oil, Burdock and Quandong extract. Leaves my hair silky, shiny, tangle-free and smelling delicious. Both these products have a lovely unique natural scent to them. I have very dry hair and while this is a sufficient conditioner for daily use, because I don't wash my hair more than once a week I find my hair is dry within a couple of days. I prefer to use a hair conditioning treatment after shampooing because the conditioning effects lasts longer. I love that these are natural products and contain no chemical nasties, I will definitely repurchase the shampoo again. I guess because it is the only Shampoo/Conditoner Aurora Spa Rituals make it is more for normal hair, I would definitely be interested if they ever brought out a conditioner specifically for dry hair.